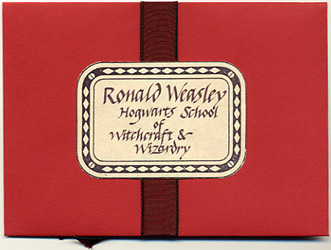 This item is a prop "Howler letter" from the movie Harry Potter and the Chamber of Secrets. 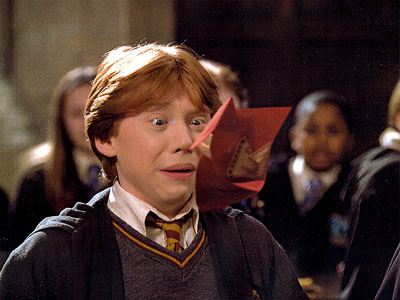 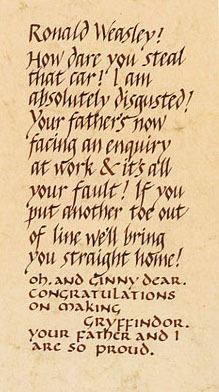 The letter is inside a sealed envelope addressed to Ronald Weasley. 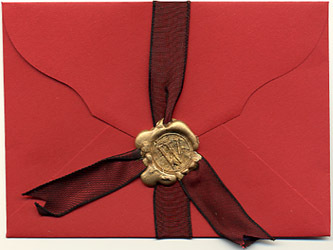 Pictured below are the two sides of the envelope, a screen shot from the movie, and a copy of the letter that is sealed inside the envelope.